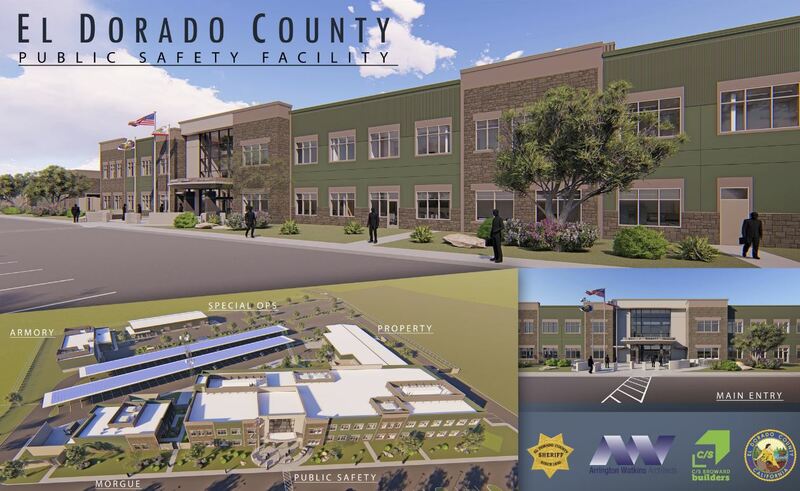 On Friday, March 30, 2018 at 11 am, you are invited to the Groundbreaking Ceremony for El Dorado County’s state-of-the-art Public Safety Facility. The ceremony will be held at 200 Industrial Drive in Placerville, Ca and will last approximately 30 minutes. The 108,000 square-foot campus will allow for improved operational efficiency amongst departmental staff, improved worker environment and efficiencies, technological expansion and improvements, open direct lines of communication between the various operations of the Public Safety Facility, and reduced operational costs through energy efficiencies and elimination of rental expenses. Combined, this facility will result in better access and service to the residents of El Dorado County!